Trinity Hill heathland is situated two miles south-east of Axminster in East Devon straddling a minor road joining the A3052 and the A35. 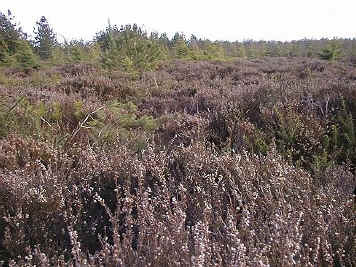 The reserve covers 52 acres (21 hectares) of mainly acidic lowland heath and bracken. The local planning authorities are Devon County Council and East Devon District Council. Trinity Hill East lies within Uplyme parish and Trinity Hill West in Axminster parish. Trinity Hill is comprised of a capping of clay-with-flints and chert (in part Eocene) overlying Cretaceous Upper Greensand. 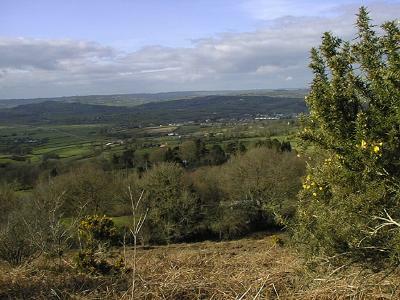 This geology is characteristic of the hills in East Devon, east of the rivers Tale and Otter and often supports similar small areas of lowland heath. Several nationally rare or scarce species occur on the heath including the Nightjar and Dartford Warbler. Snipe are common. 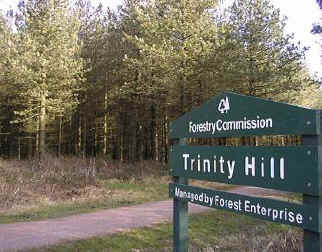 East Devon District Council owns Trinity Hill and it was declared as a local nature reserve on 10th December 1990. The reserve has been managed in recent years. An adjoining section of land belongs to the Forestry Commission, part of which is managed as a conservation area and includes an invertebrate ride. A number of different management techniques are used. The site has been owned by East Devon District Council since 1954. A commoner Mr Alford has commons rights to graze 10 bullocks on the site. Trinity Hill is a remaining fragment of the original heathland that existed along this ridge and has great potential value as a seed bank or species reservoir from which other adjacent land may be restored to heath, for example the adjacent forestry. Given the present agricultural climate of Government set-aside programmes and diminishing returns on marginal or poor farmland other neighbouring land (previously heathland) may become available for restoration as heathland. Bracken removal and heathland restoration on Trinity Hill west would result in a mixed age mosaic of heathland vegetation. Records show that there is a good variety of passage migrants during the spring and autumn periods. Breeding birds to be found on Trinity Hill include stonechat and nightjar. Both adders and common lizards are found on Trinity Hill.